The NXT Tour was developed out of the Titleist NXT and is a ball made specifically for players who are looking to maximise distance off the tee and still have a good degree of spin and feel around the greens. The NXT Tour is tailored for low to mid handicap golfers who like a soft-feeling ball but are looking for a more affordable solution than the Titleist Pro V1. The NXT Tour has been developed to encourage long drives combined with responsiveness on irons and short shots. They fly straight and true when hit with force and supply enough touch to shape shots if desired. On the fairway the NXT Tour has increased roll and sits well in the rough. The ball offers exceptional feel when hit from bunkers and on wedge approach shots. From a pricing and golfers perspective the NXT Tour sits comfortable at the top of the mid range ball category and below the pricing point of Titleist Pro V1 and V1x's. Golfers who play with Bridgestone e5, Srixon Q Star, Taylormade Burner or Callaway Big Bertha you may consider trying out the NXT Tour on your next round. Awesome shopping experience. Placed an order on Tuesday as had long weekend of golf away with some mates and was in need of a quantity of balls and I had left it until the last minute to think about it. The balls arrived on the Thursday, less than 48 hours after I had placed my order and in time for... Read More. Awesome shopping experience. Placed an order on Tuesday as had long weekend of golf away with some mates and was in need of a quantity of balls and I had left it until the last minute to think about it. The balls arrived on the Thursday, less than 48 hours after I had placed my order and in time for me to walk out the door and get on the road and playing golf that afternoon. All balls ordered were of the quality represented and there was not one ball that wasnt of the quality ordered. I ordered 5 x 50 balls of Taylor Made, Titleost and Callway (250 balls in total). Less than $1 a ball and they are as good as brand new. Absolute brilliant, hassle free, easy to use, accurate description and representation of product, product was as described, quick delivert and an all round trouble free on-line shopping experience. There is no reason not to use Lost Golf Balls to buy golf balls. Congratulations to the Lost Golf Balls team. 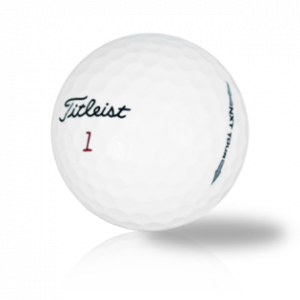 Great Deals On Titleist NXT Tour Golf Balls The NXT Tour was developed out of the Titleist NXT and is a ball made specifically for players who are looking to maximise distance off the tee and still have a good degree of spin and feel around the greens. The NXT Tour is tailored for low to mid handicap golfers who like a soft-feeling ball but are looking for a more affordable solution than the Titleist Pro V1. Basic Information Of The Titleist NXT Tour - 3 piece construction - Alignment assisting marking - Polybutadiene core - Thin durable cover - 302 or 392 dimple design The NXT Tour has been developed to encourage long drives combined with responsiveness on irons and short shots. They fly straight and true when hit with force and supply enough touch to shape shots if desired. On the fairway the NXT Tour has increased roll and sits well in the rough. The ball offers exceptional feel when hit from bunkers and on wedge approach shots. From a pricing and golfers perspective the NXT Tour sits comfortable at the top of the mid range ball category and below the pricing point of Titleist Pro V1 and V1x's. Golfers who play with Bridgestone e5, Srixon Q Star, Taylormade Burner or Callaway Big Bertha you may consider trying out the NXT Tour on your next round.